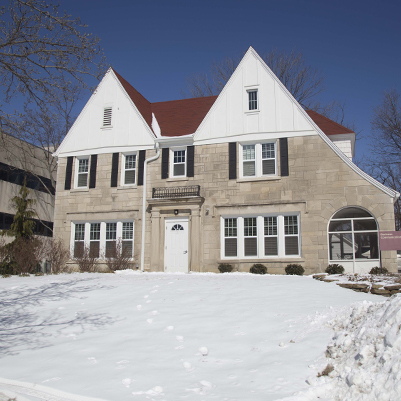 This project involved creating a new home for the IU Kelley School of Business Communication Department faculty with an addition to Carter House at 1319 E. Tenth Street on the IU Bloomington campus. The existing two-story building was renovated. The facility provides office space for faculty, meeting space for students working in teams, and a video conference room. The project involved renovating 3,100 gross square feet (gsf) of existing space and adding approximately 5,500 gsf of new space. Exterior and interior finishes were restored. Mechanical, electrical, and plumbing systems were replaced. A new elevator and fire-rated stairs were installed.